Have you ever wondered if your home is using energy efficiently? It may be time for a Home Energy Audit or a Home Energy Score! Young and old Oregonians can get started with a Home Energy Audit checklist. 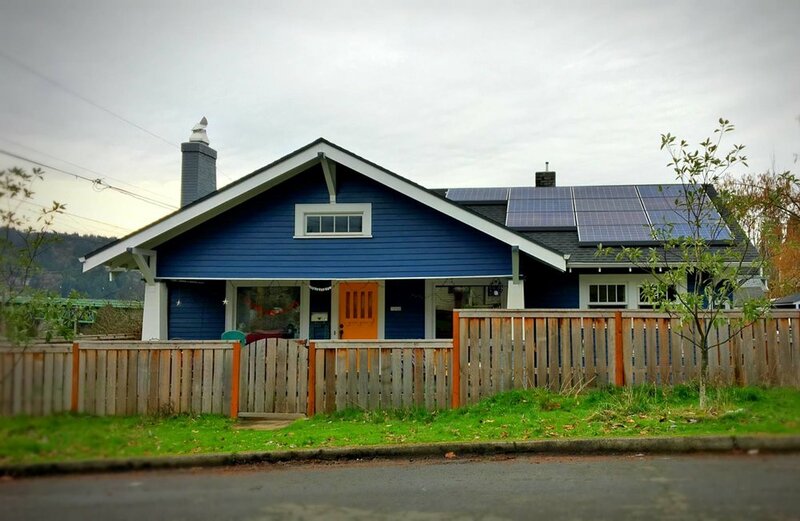 This simple quiz by the Oregon Department of Energy asks kids to look at some of the most common energy issues at home to identify where your family can make improvements. Ready to go big? A Home Energy Score, or Home Energy Performance Score, gives your home a grade based on its energy use and efficiency – similar to the bright yellow Energy Guide label you’ll find on your home appliances. A certified professional will evaluate your home’s performance and issue a score – the pro will look for air leaks, check insulation levels, inspect energy-efficient windows and doors, make sure your heating or cooling system is well-maintained, check lighting, appliances, and more! Your score can help you better understand how your home compares to other homes in the region, and where you can make improvements and increase your score. Even simple, inexpensive improvements like adding insulation or sealing leaky windows or ductwork can make a huge difference. In addition to saving money on your utility bill, an energy-efficient home is more comfortable. Sealed leaks, solid insulation, and efficient appliances can help keep your home warm in the winter and cool in the summer.